For many, dreaming of a perfect wedding starts at a pretty young age. However, what we don’t always think of is the extravagant cost of a wedding. As an adult who has chances of having faced financial problems, you may catch yourself thinking: I need an installment loan online for bad credit. If this is your case, don’t stress out, there are several other options that you might want to check out first! Don’t wither under the financial pressure of a wedding and start planning your wedding on a budget today. 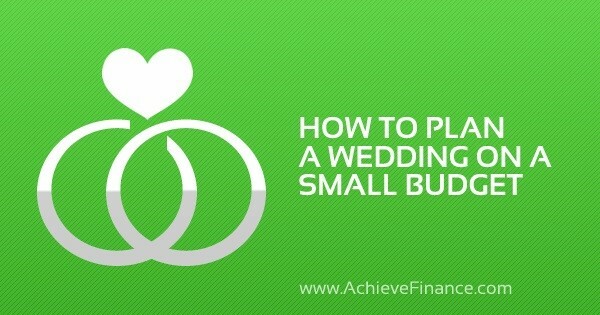 First things first – you need a financial plan to get your wedding in on budget. Start by really asking yourself how much you can afford to spend on a wedding, without paying said wedding off until your retirement. Although this may seem a little obvious as a first step, you’d be surprised how many individuals don’t settle on a precise amount for their wedding and end up spending too much anyway! Make a list – figure out how much you can afford, where the money is coming from and where you’re going to spend it. What Type of Wedding are you Looking for? When you think about your special day, what appears before your eyes? A classic church reception? A backyard get together with family and friends? A classy ballroom reception? If you’re unsure, you can head over to the trusted internet and search for a few ideas. Again, make yourself a list of what you like and didn’t like, this will help you in making your own decisions. Keep in mind that now is not the time for precision and details. Think instead of the overall picture because when it comes to planning a wedding on a budget, priorities are of top importance. Where do you Plan on Holding your Wedding? You might not realize it right away, but where you’re going to have your wedding is extremely important because different locations are going to present different costs. Start by looking at what you have in your direct environment – think of family and friends. For example, perhaps one of your close buddies has a big enough backyard that you could borrow for an evening to throw your party? Maybe a family member owns a restaurant or a dance hall that could hold your group? Or again, perhaps you have a specific service that you could offer and trade off for a good price on one of your ideal venues? The sky’s the limit so start thinking outside the box. You’d be surprised at how many people are actually willing to help! Sure, wedding rings are an important piece to your perfect wedding, all while being symbolic of your love and commitment to your partner. However, all this doesn’t mean you have to spend all your savings. Remember, you’re trying to pull off a perfect wedding on a budget and let’s face it, wedding rings are easy place to start cutting costs. Did you know that a traditional 14-karat ring can easily cost $3000?! Gold isn’t the only durable and customisable ring material, in fact, titanium and sterling silver are equally great options. How to Finance an Engagement or Wedding Ring with a Poor Credit. There’s probably no need to point this one out, but just in case, more people costs more expensive! This might sound rather rough, however, such is reality and the goal here is to stay on budget. Although it tempting to invite everyone and their brother – ask yourself, is it really necessary? There are differents ways that you can cut back on a few guests – and a few extra costs. Once you’ve got your initial list drawn up, you and your partner can go through it and remove about 10% of the people. If you feel up to the task, go through the list a second time and cut another 10%. You also have the option of inviting more people to the ceremony and instead holding a smaller reception – less food and alcohol! Speaking of alcohol, this is another pretty hefty cost when it comes to planning a wedding. However, just as with wedding rings and location, there are ways you can save! Instead of an open bar, consider saving money by offering beer or wine with supper. Other examples could include having a cocktail hour with guests or offering a cash bar. Renting a function hall? You can question whether or not they will allow you to supply your own alcohol. It’s worth the risk of being told no because let’s be honest, this can really save you big bucks. Head to a discount liquor store close by and fill up on the basics: Red and white wine, a few beers and if you plan on offering a full bar, then choose the classics such as vodka, gin, rum and whiskey. Quick tip: Kegs might be cost-efficient but any left over alcohol is a waste while unopened bottles can be stored afterwards. You can Achieve your Perfect Wedding on a Budget! In the end, your wedding is about you and your partner as well as celebrating the love that the two of you share – don’t lose sight of this. Weddings can can hectic, you can lose yourself in the planning and the costs can truly get out of hand so it’s best to stay down to earth and prioritize your wants and needs! Throwing your perfect wedding without drowning in debt is totally possible if you follow the above tips and tricks.